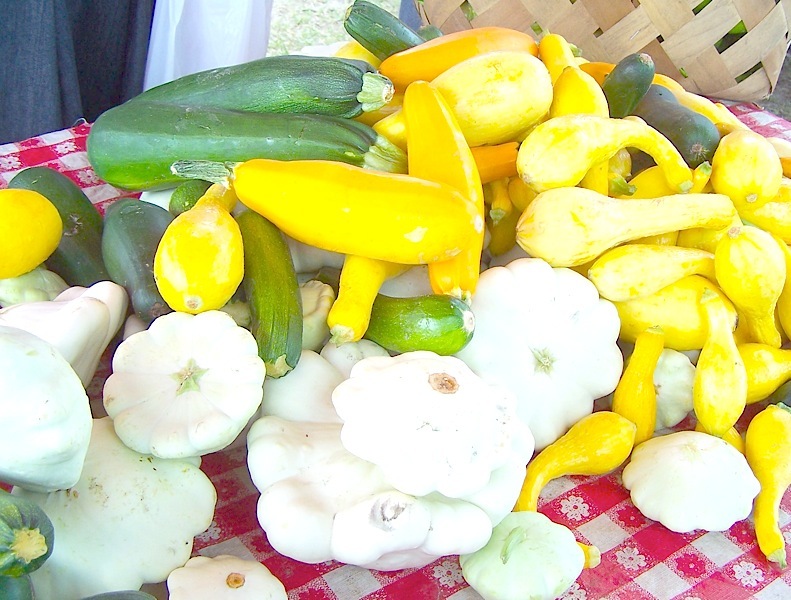 The Sandhill Farmers’ Market is open for the season, and will run through November 22. 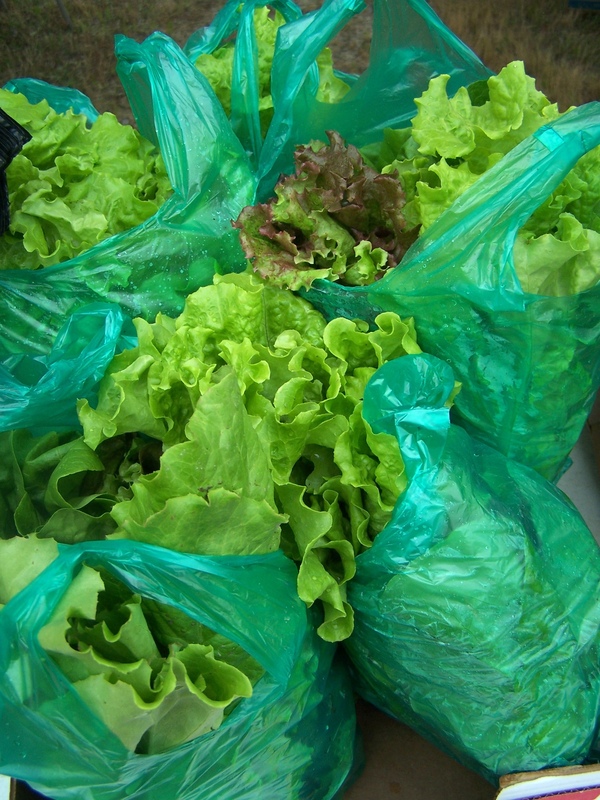 You can visit the market each Tuesday, from 2:00 p.m. until 7:00 p.m. It is located at the entrance to Clemson’s Sandhill Research and Education Center, at 900 Clemson Road (across from Village at Sandhill), Columbia, SC 29229 in Northeast Richland County. Approximately twenty-seven vendors are selling, with additional vendors expected as summer crops are harvested. Items for sale include fresh local produce, meat (beef, pork, lamb), shrimp, eggs, butter, milk, cheese and honey. Also plants, flowers, trees, baked goods, homemade bread, grits, boiled peanuts, kettle corn, yarn and woolen items. Master Gardeners are available to answer questions. Live music is provided by Keith Tracy. Do come – it’s a festive place to shop, hum along with the music, sample tasty foods and visit with your friends and neighbors! 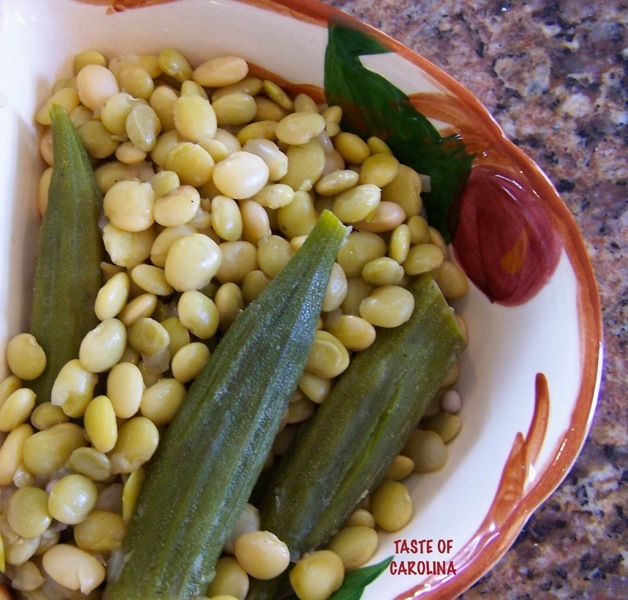 Taste of Carolina has been on hiatus, due to a busy work and travel schedule. However, I am back on the job and open for business, just in time for the summer growing season. Check often for weekly market updates, farmer profiles and a generous serving of tasty recipes. 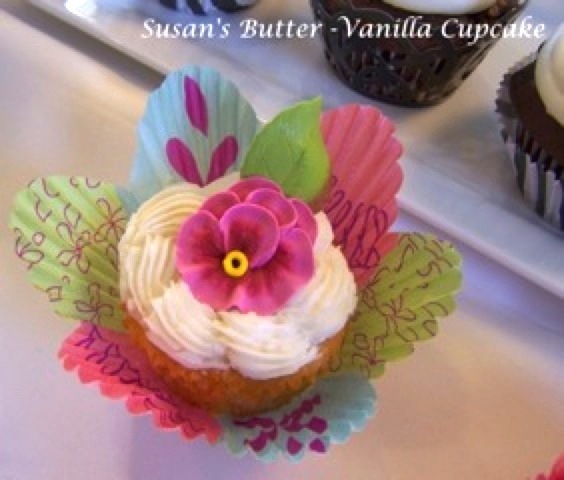 I will soon post another blog story, with great tips for decorating cupcakes. It will correspond with my new magazine article on cupcakes, for Columbia Metropolitan Magazine. Look for this issue in June. Bon Appetit! Come to the market and visit your favorite farmers and vendors for the last time this year! Make your holiday cooking extra-special by using our delicious, locally-grown fresh foods. The market will be bigger and better than ever, with new vendors selling holiday items. And remember, supporting your local-based food systems may be the best way to economic recovery! Not only will you discover locally-grown winter vegetables like collards and other greens, squash, sweet potatoes and apples, but you will be able to purchase local handmade crafts – ideal for holiday gifts. The market will also offer seasonal plants, homemade breads and baked goods, homemade soap, stone ground grits, rice, eggs, butter, cheese, gift baskets, and beautiful blankets and wool products. The Master Gardeners will be on hand to answer your gardening and landscape questions and will give out soil sample bags for soil analysis. You may bring a plant for them to examine. They will have gardening gloves for sale. Special thanks to Bryce Haywood, Master Gardener Volunteer Coordinator, and all of the Master Gardeners who volunteer their time at the Sandhill Farmers Market. Vocalist, keyboardist, guitarist Keith Tracy will provide holiday cheer in the form of his festive music. Remember to let Keith know how much you enjoy the music and tips are appreciated. Keith is available to play for senior adult residences, parties and other events. He also has a CD available for only $9.00. http://www.keithtracylivemusic.com. Two regular vendors at the Sandhill Holiday Market recently received cash awards from the S.C. Department of Agriculture’s “Promotions That Sell” Contest, which was open to S.C. farmers’ market vendors who are S.C. Certified. Entrants were judged on the appearance and content of their market display. Congratulations Kathy and Anne! First Place winner: Kathy McCaskill, Old McCaskill’s Farm of Rembert, SC. 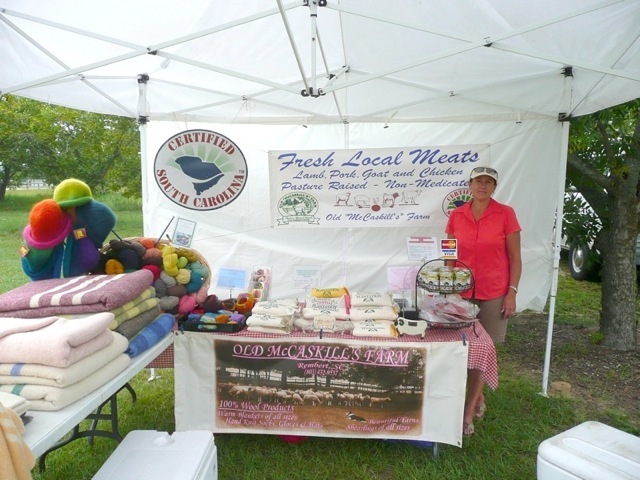 Kathy sells lamb, pork, goat, cheese, eggs, pelts, yarn, blankets, hats and other woolen products from her sheep. Second place winner: Anne Hester (and Branham) from the Soap Deli in Prosperty, SC. 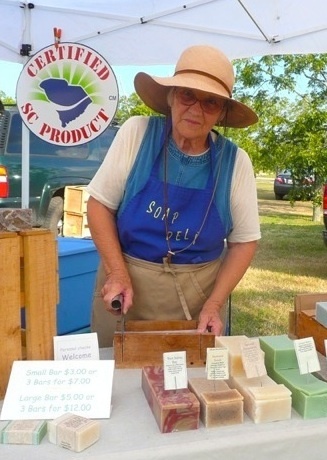 They sell natural, handmade soap. So, what’s in season in South Carolina now? Broccoli, brussels sprouts, cabbage, carrots, cauliflower, celery, chard, collard greens, kale, leeks, lettuce, cultivated mushrooms, parsnips, pecans, winter squash, sweet potatoes, turnips. Driving Tips: Park only in designated areas at the market. There are marked handicap spaces. Please watch for small children, drive slowly and do not drive in front of vendor tents or park in vendor spaces. Vendors or volunteers will be glad to help you carry a heavy purchase if you ask. When you exit the market to Clemson Road, please be sure to stop at the light with your wheels on the orange block so the traffic light will change. Also note that there are two lanes for getting onto Clemson Road. Some vendors proudly display a Certified SC Grown sign. They have been certified with the SC Dept. of Agriculture that they grow or produce certain crops, plants or products, and meet certain standards. CABBAGE PHOTO © BY SUSAN FULLER SLACK. FARMERS’ MARKET FARE: A PASSION FOR PEACHES AND OTHER PRODUCE…. Juicy, sweet sun-kissed peaches are one of South Carolina’s signature crops. 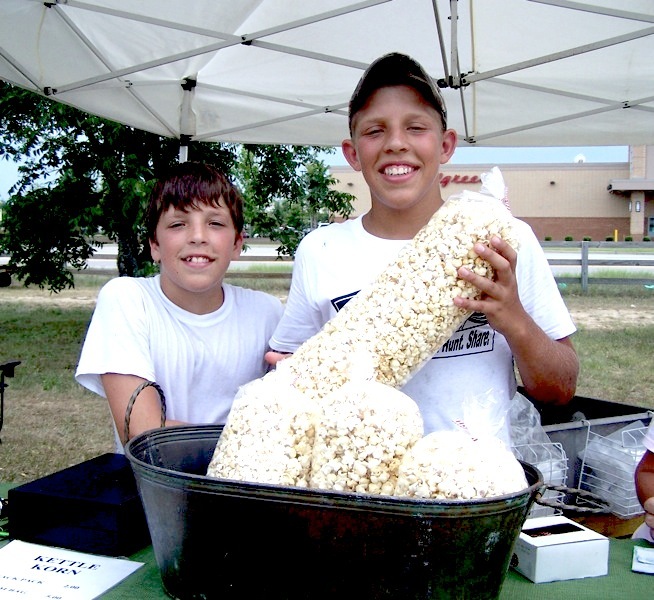 They have been abundant this season at area farmers’ markets – and taste sweeter than they have in years. 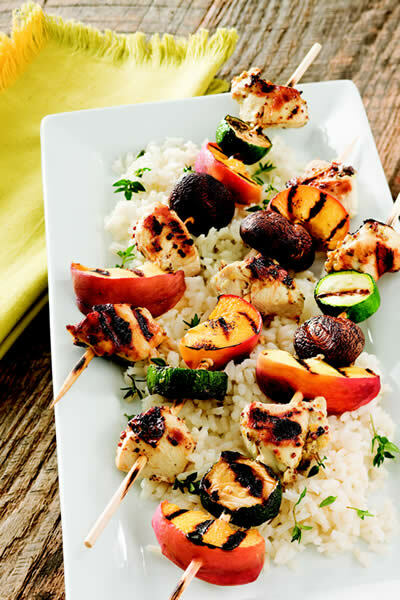 It’s no wonder that South Carolina is known as “The Tastier Peach State.” Read on for more facts about our tasty Carolina peaches and for a couple of peachy recipes, Grilled Chicken and Peach Kabobs and Cantaloupe and Peach Preserves. There are additional photos of new products available at the Sandhill Farmers’ Market in Northeast Columbia. 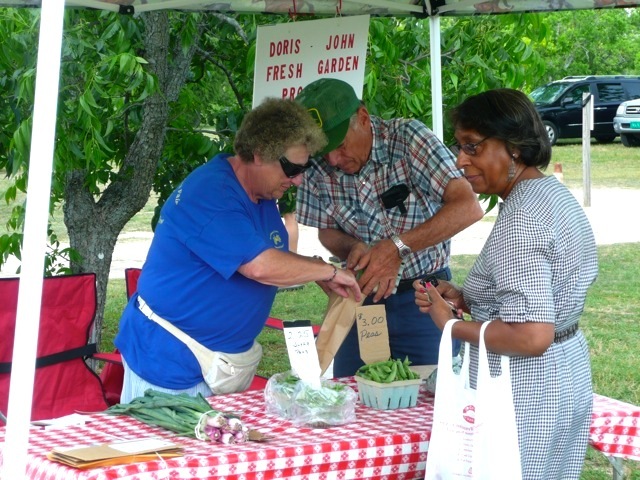 Farmers’ Markets have never been more popular throughout South Carolina. They are everywhere – even in churches, hospitals, malls and private community town centers. Certified farmers’ markets may occasionally be small, but they make up for size by offering a rainbow cornucopia of the finest seasonal farm-to-table foods available. Two of my favorite local Columbia markets are the Sandhill Farmers’ Market ( open Tuesdays from 2:30 P.M.-7:00 P.M.) and the Farmers’ Market at Richland Mall (open Wednesdays from 3:00 P.M. until 7:00 PM). They have fresh butter beans and butter peas in plentiful supply right now. Read on for recipes and tips for cooking these Southern treats! Watermelon is a Southern icon. No matter which way you slice it, South Carolinians view watermelon as the quintessential hot weather treat. 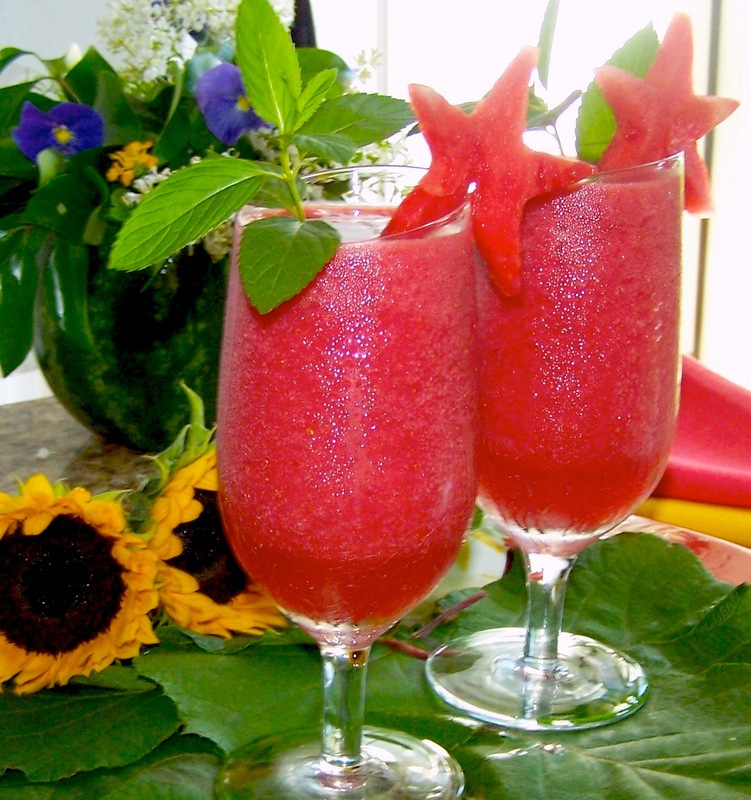 There is no other food that provides the same thirst-quenching relief during the sultry dog days of summer. One of summer’s simple pleasures is eating a juicy watermelon wedge out-of-hand with the sweet, pink juice dribbling down your chin. And who doesn’t enjoy the challenge of ‘precision watermelon seed-spitting’ to see who can land them the furthest. 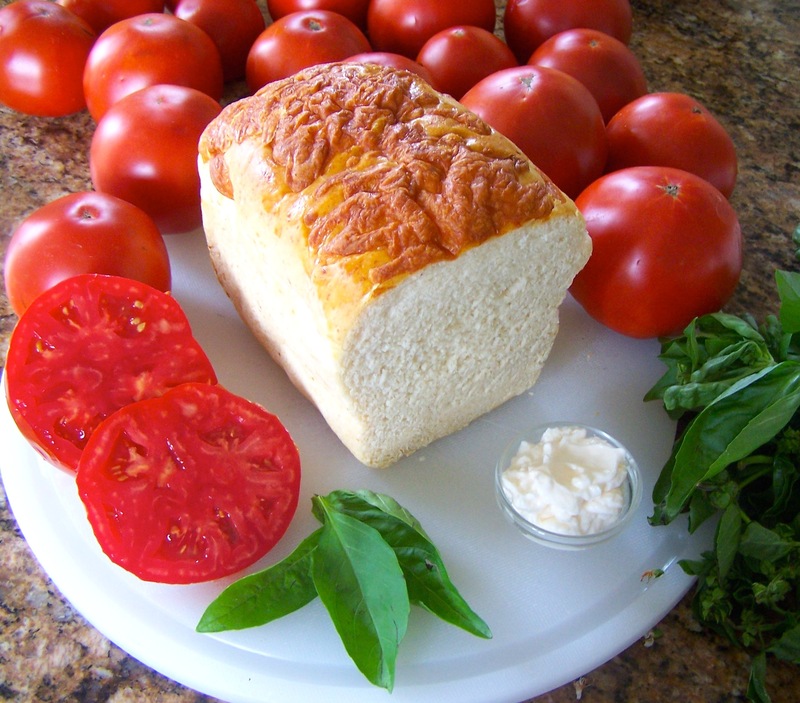 In the South, nothing quite says summer like a fresh tomato sandwich. I was able to enjoy this treat every summer as a child growing up in East Tennessee. The sandwiches were loving prepared by my paternal grandmother and I could have enjoy one any time her tomatoes were in season since my grandparents lived next door. Grandma was an extraordinary gardener and cook, as were all her relatives and lady friends. Her summer kitchen was always filled with red ripe tomatoes. There was something magical about eating those sandwiches, with the luscious tomato juice dripping down my chin. My little sister and I enjoyed them with glasses of ice tea, while sitting in the midst of grandma’s beautiful, wild backyard garden. If you don’t have a garden to serve tomato sandwiches in, I promise they will taste just as delicious standing over the kitchen sink. Update: Thirty-three vendors attended Sandhill Farmers’ Market this week. The sweet corn and okra are fabulous so don’t miss picking some up next week. The peaches and blueberries are ready; blackberries are finishing up. 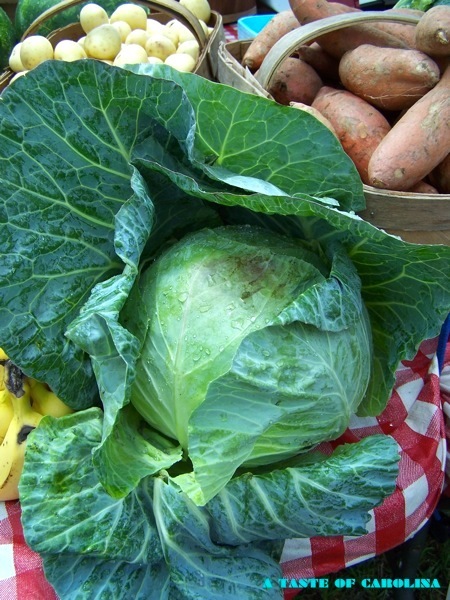 Look for cabbage, beets, potatoes, all varieties of summer squash, cucumbers, green beans, eggplants, okra, peppers (banana, hot, bell-green or purple). Local ripe tomatoes, snap beans, cantaloupes and honeydew are ready. Shelled lima beans and peas are also for sale.